It's November 2006 and on Thursday, November 16th, Anderson was in Vegas to interview the hosts of Comedy Relief; Robin Williams, Billy Crystal and Whoopi Goldberg. (Comedy Relief stars in 2006 were Bill Maher, Jon Stewart, Stephen Colbert, George Lopez, Sarah Silverman and Wayne Brady hosted the show's satellite location in New Orleans. Hurricane Katrina victims benefited from the fund raiser, which was broadcast live from Caesars Palace on that Saturday night.) 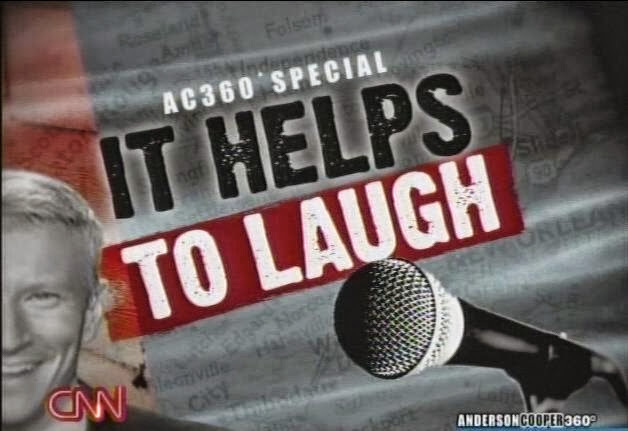 Anderson's interview aired on Friday, November 17th as an AC360 Special. We will be posting the special in it's entirety on the next two or three Sundays. We felt with all the serious news of late, it would help us all to laugh!